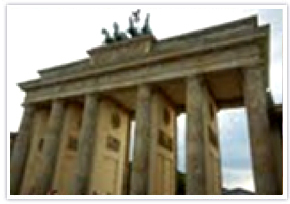 International Bologna Conference 2011 was held in July 11-13, 2011 in Berlin, Germany. 46 countries in Europe that includes 27 countries of EU are promoting higher education area reform, which is called Bologna Process. The objectives of the reform are to facilitate mobility of students by fair recognition of degrees that were taken in other countries of the area; and to raise the possibility of employment by recognition of equal qualification in labor market. NFUCA has been conducting a relationship with German National Association for Student Affairs (Deutsches Studentenwerk/DSW) for years. DSW is one of the host organizations of the conference. 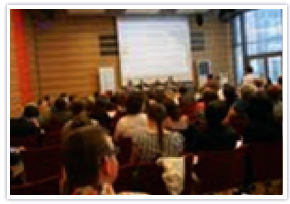 NFUCA and DSW have been developing cooperation as organizations that promote student services proactively and NFUCA staff attended the Bologna Conference 2011 as part of the cooperation program. The conference focused on changes from 1999, the year Bologna Process started, efforts in each country and Bologna Process in international perspective. 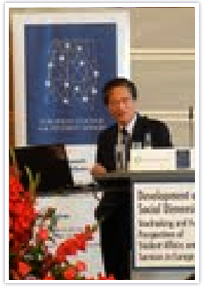 The keyword of the conference was “social dimension." There are students with various social and cultural backgrounds. Some students have children. Some have disabilities and/or diseases. Educational backgrounds and economic conditions of parents are also various. To realize the equal opportunities in diversity of social dimension, the conference took up challenges of equal opportunity to higher education, economic support in higher education and academic success. Development of support for various situations of students is required. The conference pointed the importance of higher education as a base that forms sustainable developing society and importance of support for student that are members of higher education. NFUCA delegation visited headquarters and dormitories of Studentenwerk München, a local organization of DSW. 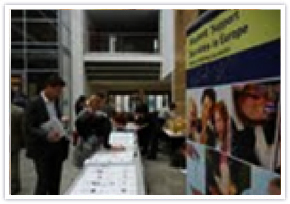 The characteristic of Studentenwerk München is placing a special emphasis on mental support for students to continue studying. It has an extensive counseling program. NFUCA is going to promote various exchanges with DSW annually to learn from each other under common awareness of issues regarding student support.